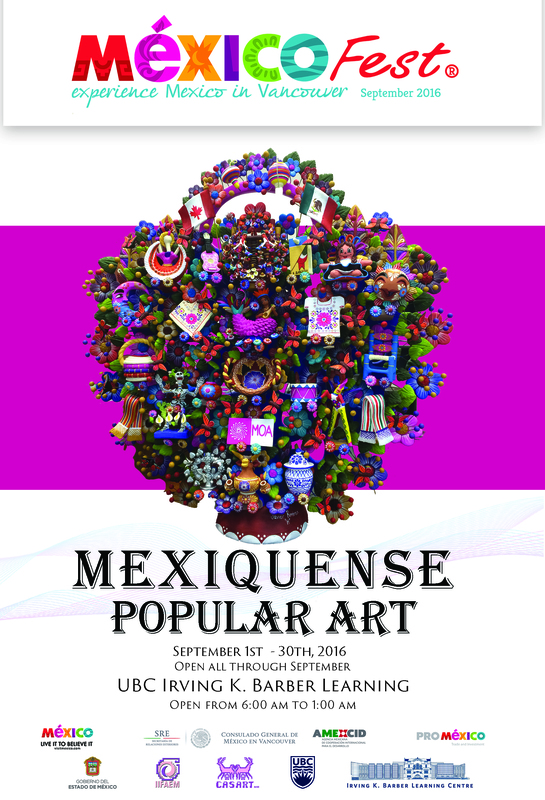 From September 1-30, the Mexiquense Popular Art exhibit will be on display at the Irving K. Barber Learning Centre on level 2. The Mexiquenses Artisans are renowned as popular artists of profound sensibility and creativity that, despite the passing of time and external influences, have kept in their products the distinctive characteristics and cosmology of the five ethnic groups of the state: Matlazincas, Mazahuas, Otomíes, Nahuas y Tlahuicas. It is a cultural heritage that includes a significant number of pieces which strive to preserve and spread mexiquenses culture. 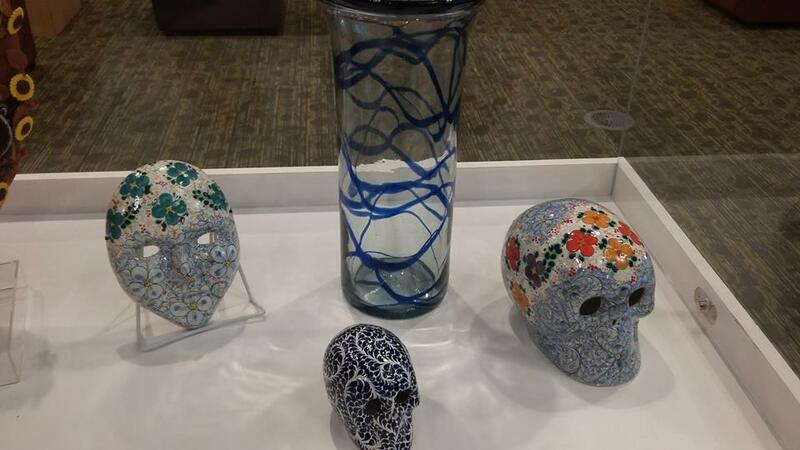 The artisans are distributed over 80 percent of the state territory, using materials offered by the nature of the region to produce unique pieces that cover the essential craft derivations. 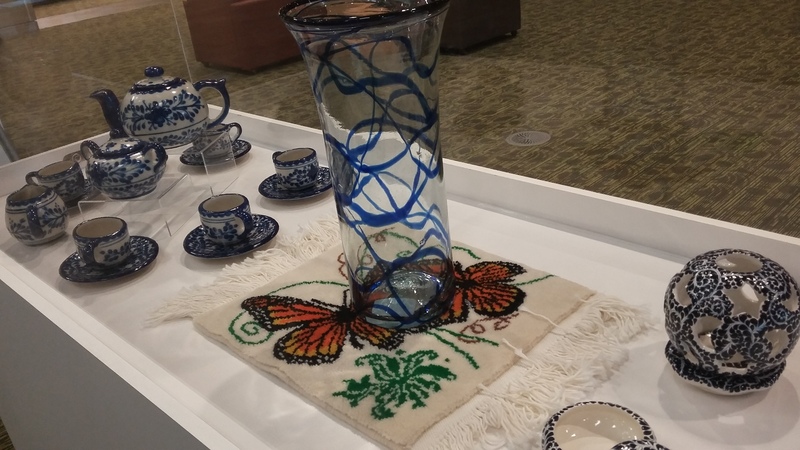 This exhibit at IKBLC is in partnership with, Mexico Fest a celebration of the anniversary of Mexico’s Independence and has become the most important festival dedicated to Mexico in British Columbia. 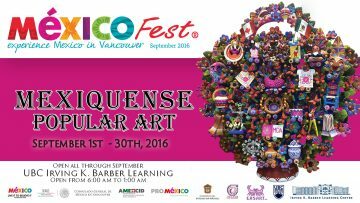 This year’s programming includes events by the Mexican Tourism Board in Vancouver, the Mexican Community in Vancouver Services Society, the Network of Mexican Talent in BC, the Vancouver Latin American Film Festival, and numerous sponsors, making it a truly community-based and government effort to showcase Mexican music, traditions, spectacular tourism destinations to BC.